Sonic Plush Slippers Coming Soon! This is an item which has been in and out of concept stages for years, but it looks like it might actually get released! GE Entertainment has posted several new Sonic items to their website including some Sonic plush slippers! See an image of the thing after the jump. Continue reading Sonic Plush Slippers Coming Soon! Way back in 2013, Sega of Japan partnered with Sanrio to produce some Sonic x Hello Kitty themed merch, the line promised a range of products, however only a rather large and impressive plush toy was released. Continue reading The Sonic x Hello Kitty Deal Is Back On? Well that didn’t take long! 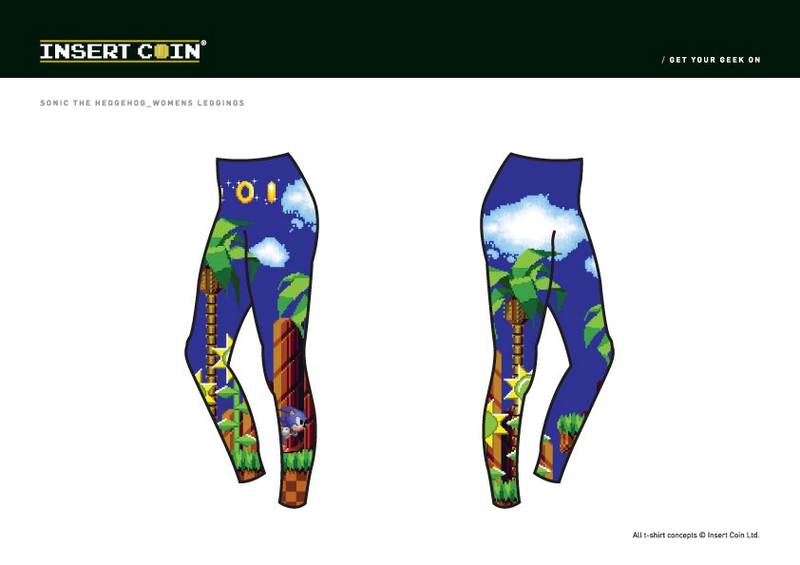 It was only a few days ago that we brought you news that Insert Coin were making a new line of Sonic & Sega clothing, today they showed off the designs. It seems that this time it’s not just Sonic & Eggman that are getting attention. Whist there is a Sonic shirt as espected, there’s designs based on other characters and even one on the Green Hill Zone itself. In 2011 Insert Coin announced that they were making Sonic themed T-shirts and hoodies in celebration of Sonic’s 20th anniversary. Well, it looks like they’re about to make some new items. inspired by the FULL Sonic the Hedgehog back catalogue AND SEGA All Star Racing Transformed.